Amorgos is the easternmost island of the Cyclades archipelago, as well as the one closest to the Dodecanese archipelago, situated to the southeast of Naxos, 138 nautical miles (256 km) from Piraeus. The municipality of Amorgos occupies the island and some nearby islets, the largest of which is the island of Nikouria, and has an area of 126, 346 km2 and a population of 1 973 inhabitants. 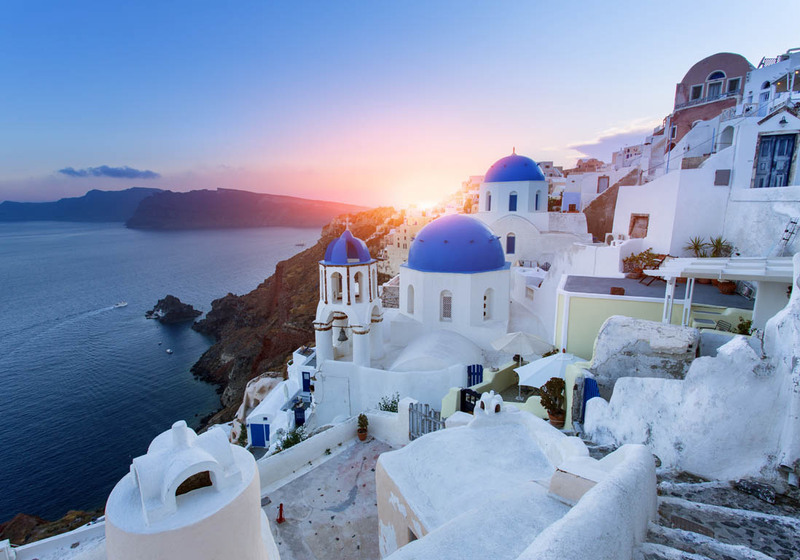 Unfortunately it's not possible to buy online the ticket to go to Santorini. The company Blue star ferries don't allow the purchase through Agency. Do you want to travel with your family to get to Santorini? Do you like adventure and freedom and you want to reach the destination Santorini with your moto ?